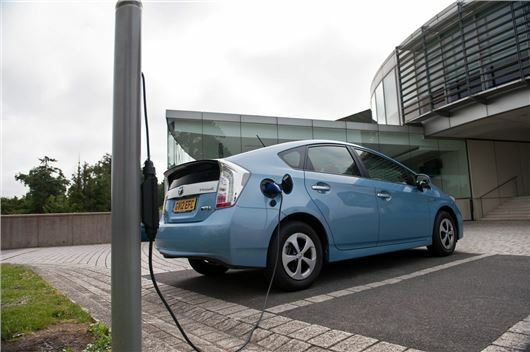 The investment is part of a campaign called Go Ultra Low, which is being backed by low emission vehicle manufacturers including BMW, Nissan, Renault, Toyota and Vauxhall. London already has plenty of electric charging points for EVs and plug-in hybrids, so the focus of the £9m boost will be on areas outside of London. One of the most important aims of the investment is the installation of 140 new fast charging stations, which can top up an electric car’s battery in 30 minutes. Given the limited range and slow charging times of EVs, these chargers will make longer distance travel easier. Aside from the £9m investment in charging infrastructure the government has invested a further £5m to introduce more electric and ultra low emission vehicles to public sector fleets, like those of local authorities. The focus of the £9m boost will be on areas outside of London. Furthermore, a new website has been launched as a one-stop-shop for those who want to take the leap into electric vehicle ownership. Deputy Prime Minister Nick Clegg said: “Electric cars are one of the most promising of our green industries and we want to secure the UK’s position as a global leader in both the production and adoption of these vehicles. Besides lower fuel costs and VED exemption, ultra low emission vehicles are exempt from paying the daily central London congestion charge, which adds particular appeal for those who commute in and out of the capital. Click here to see our lowdown of the top ten congestion charge exempt vehicles.